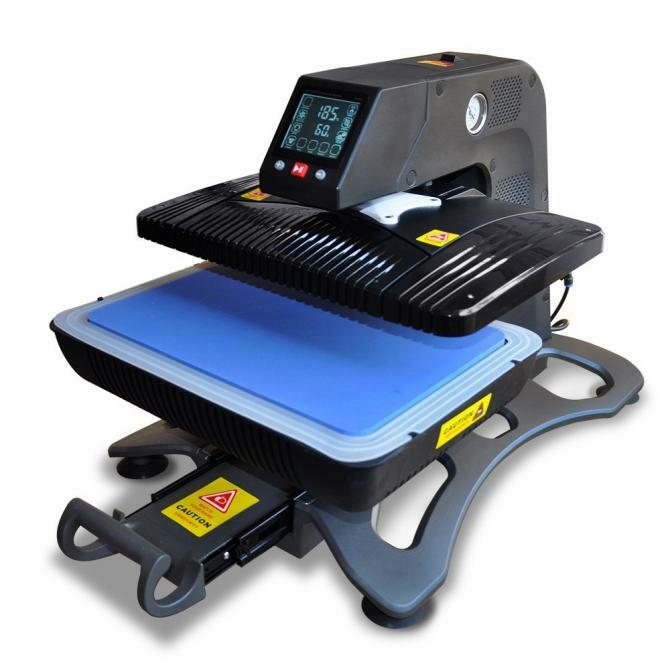 This is our new Freesub 3D all in one vacuum multi-function heat press machine, allowing you to press both 2D and 3D sublimation products. The machine features a flat bed heat press size of 297 x 420mm with auto-pneumatic working mode, built in vacuum air pump for 3D decoration, large touch screen design, 5 press presets allowing you to easily and quickly recall your favourite settings. The flat bed/3D chamber is on a sliding draw for a safe and easy operation with auto stop/start.